Many years ago, a mobile phone was used only for making emergency calls. Not anymore. In this day and age, there are a very few things you can’t do with a cell phone- you can access the internet, check your e-mail, take photographs, find your way using maps and what not. It is no surprise then that the mobile phone is now an indispensable gadget. There is immense competition in the mobile phone sector and the market is literally flooded with all kinds of cell phones. Each of these promises to offer some unique feature- a 10 MP camera or a high quality Operating System or a variety of apps etc. It is very easy to lose your way in a world where a new mobile phone is released every week. When you buy a cell phone, you have mainly three options to choose from-you could sign a contract with your service provider and get your handset free or at a heavily discounted price. Alternatively, you could choose the pay as you go plan under which you buy the cell phone on your own and pay the monthly rental. Or you could go ahead and buy the handset without any contract liabilities and buy a SIM card separately. The contract deals can help you save some money as there are many offers to choose from. On the flip side, the price that you have to pay can vary greatly according to the instrument you want. You might just have to pay quite a lot for a higher end instrument. If you choose to buy a handset separately, it gives you the freedom to choose from a variety of service providers. The choice largely depends on your usage patterns and other priorities. When it comes to choosing from the many different features available, rely on your preferences. Make a list of the features you can’t live without and another list with optional features. For example, if internet connectivity tops your priority list, get a phone with an efficient browser and a big screen. Alternatively, if you are used to sending a lot of messages, you might want to stay away from touchscreen phones. Among the most popular features are Wi-Fi connectivity, a high quality internet browser, touch screen, GPS, games, MP3 playback etc. Focus on what you want and look for a suitable mobile phone accordingly. The mobile phone is not just a functional device anymore, it is as much about the appearance as the functional capacity. There are different designs available: the traditional monoblock, sliders, QWERTY keypad phones or touchscreen phones. If you want to use your phone primarily to make calls and send messages, you can go for phones with simpler designs. Typically, they are faster and come with higher battery life. 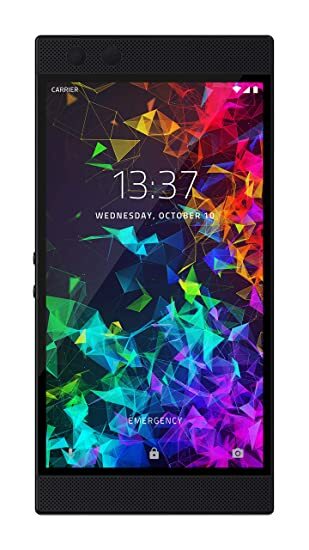 On the other hand, many advanced features like touch screen apps, high resolution screen, Flash video are offered by a Smartphone or an Android. Although, you have to be ready to spend a little extra money if you want these features. In this regard, there are two options to choose from- the simpler phones which come with basic features tend to have a longer battery life while the more advanced phones need to be charged more often. After all, all the applications need a lot of battery power to function efficiently. Besides these major concerns, there are other factors which you can consider like the quality of Bluetooth devices, the efficiency of the 3G network, the kind of camera used, the cost of the phone etc. You must always remember to factor in your personal comfort level with the handset. After all, you will use this gadget more frequently than any other gadget you own and therefore you must feel at ease with it. There are many mobile phone brands to choose from. The Apple iPhone needs no introduction, it has revolutionised the mobile phone sector with the apps which add a different level of functionality to your phone. Nokia, Samsung and Blackberry are other prominent brands all catering to a distinct niche of mobile phones.